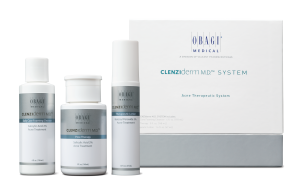 Why you should use Obagi Professional- C serums? Obagi Vitamin C Serums are a great addition to your skin care regime. There is a wide range available, allowing you to find the perfect Obagi vitamin C serum for your individual complexion. They all work to improve your skin’s texture and tone, thus addressing the appearance of ageing skin and keeping your skin looking younger and healthier for longer. 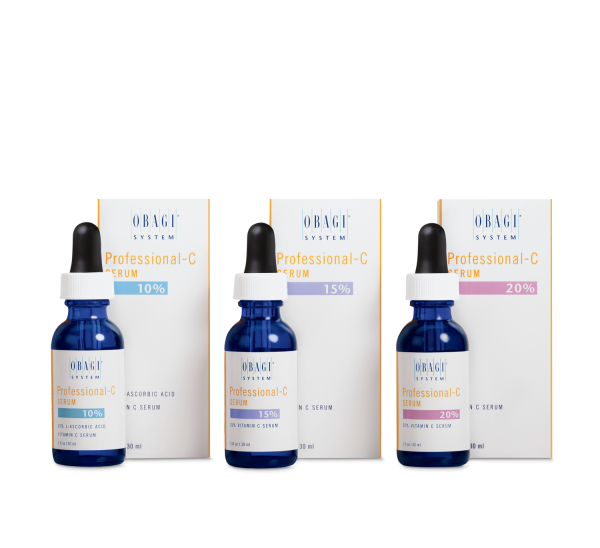 How do the Obagi Vitamin C Serums work? All Obagi Vitamin C Serums are recommended for use in the morning. They contain powerful antioxidants which help brighten the skin. Together with the role of SPF, it encourages the protection of melanocytes as well as depigmentation. Who should use Obagi Professional- C Serum 10%? Professional C Serum 10% works to reduce the appearance of fine line and wrinkles while improving skin tone and texture. It is recommended for people who may have dry, irritated or sensitive skin. 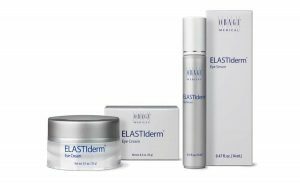 Who should use Obagi Professional- C Serum 15%? Professional C Serum 15% works to reduce the appearance of fine line and wrinkles while improving skin tone and texture. This Obagi vitamin C serum is suitable for most skin types. Who should use Obagi Professional- C Serum 20%? Professional C Serum 15% works to reduce the appearance of fine line and wrinkles while improving skin tone and texture. It is recommended for people who may have normal to oily skin. Who should use Obagi Professional- C Serum Peptide Complex? Professional C Serum Peptide Complex is an effective product because it not only contains Vitamin C but also Keratin and Zeatin, which help to minimise the effects of ageing skin i.e. fine lines and wrinkles. In addition, the serum increases the skin’s firmness and improves the tone, giving your skin that glowing look. This is a good all-around vitamin C serum and is a non -irritant. 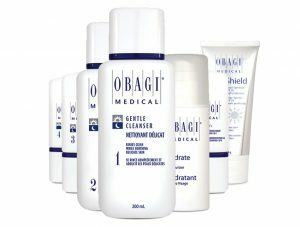 Who should use Obagi Professional- C Serum Suncare? The Professional-C Serum Broad Spectrum Sun Protection is a two-in-one. It not only protects your skin from UVA and UVB rays with the SPF 30, but it also contains Vitamin C. This keeps your skin looking and feeling youthful and fresh, whilst also protecting it from the sun. Is there anyone who should not use Obagi Vitamin C Serums? 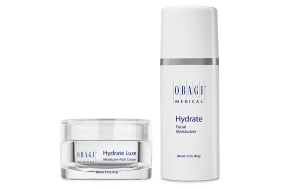 We would recommend the Obagi vitamin c serum products to all our patients, depending on their needs. Are there any other benefits or uses of vitamin C serums?